The Zohar teaches us that on the night of Shavuot we do an important ‘Tikkun’. This Tikkun is an all night study in preparation for the giving of the Torah in the coming morning. First we read from all 24 books of the Bible, then study the Idra Rabah and if there is time also the Idra Zuta. The word Tikkun is usually related to ‘Correction’ but it also means improvement (תקן,תיקון), installation (התקנה) and קישוט, ‘decoration’. During the night we connect to 24 ‘decorations of the bride’ where the bride is the aspect of the lower Shechina, Malchut that goes up to unify with the Light. The Holy Ari tells us that we should stay awake all night in order to disconnect from the aspect of death that exists during sleep. In the morning we receive the Torah that is life energy and any aspect of death disrupts this connection. If we manage to stay awake, then as the Ari promises us that we ‘will complete the year and be free from any harm’. Some opinions say that the end of the year is the month of Adar, which is about 8 months ahead. Some opinions say until Rosh Hashanah that is about 4 months in the future. I read somewhere that each holiday draws specific energy for the entire year. In this case the year is completed in the next holiday of Shavuot. Another aspect of connecting to life energy is tithing and Tzedakah. On this night there is a higher spiritual unification between Chokmah and Binah and we should avoid any sexual relationship including the two nights before the holiday. On Shavuot we eat only dairy food because eating meat connects us to the death of the animal that was killed for us to eat it. Some avoid eating meat from the first day of the month. The Zohar in Idra Rabah begins with Rabbi Shimon announcing “It’s time for action” quoting Psalms 119:126 “עֵת, לַעֲשׂוֹת לַיהוָה– הֵפֵרוּ, תּוֹרָתֶךָ ” “It is time to work for YHVH; they have made void your laws (Torah).”. It is a good place to mention that the book “Gift of the Bible” by Rabbi Yehuda Ashlag starts with the article named “it’s time to work” referring to the same verse. 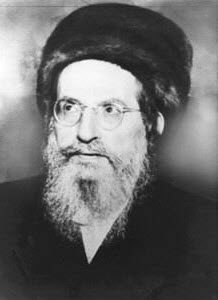 The Idra Rabah is read by Kabbalists on this night because it connects to the highest secrets of the spiritual system. There are 4 levels of Torah study and it is called פרדס ‘orchard’. The Zohar is at the highest level of Secret and it is related to the letter Yod of the YHVH name. The Idra Rabah is considered to be the secrets of all secrets, ‘Razin D’Razin’, and it is represented by the upper tip of the letter Yod. In the Idra, Rabbi Shimon and his students reveal the structure of the lights that came from the Endless to create the world. They reveal the ‘face’ of the Creator, meaning the inner aspects of the endless light that is the desire and force of Creation. Inner aspects mean a revealed state that can be defined. At the end of the Idra Rabah, three of the students of Rabbi Shimon left the world. Their souls departed from their bodies as they reached the highest level possible of personal purity and completed their Tikkun. If you are not able to join a community for the Torah reading, then you can print and read the Idra Rabah from the linked PDFs. I made one all Aramaic version and one with word by word transliteration. Scanning and reading the sacred words of the Zohar aloud elevates the connection to the Chokmah and Binah. Simply, it’s much better for you and the world. There are about 60 pages in our formatted version of the Idra Rabah. You may share with few friends and agree to read several pages each. 6 people x 10 pages each, or 10 people of 6 pages each, would be easy to finish during the night. Just agree ahead with pages each will read so you won’t miss a page. When you have all finished your parts then it will be as if each of you finished the entire Idra Rabah by himself.